This 2020 Mercedes-Benz GLE GLE 350 is proudly offered by Mercedes-Benz Of Maui This SUV gives you versatility, style and comfort all in one vehicle. You deserve a vehicle designed for higher expectations. This Mercedes-Benz GLE delivers with a luxurious, well-appointed interior and world-class engineering. You'll love the feel of AWD in this 2020 Mercedes-Benz GLE. It provides a perfect balance of handling power and control in virtually every driving condition. You've found the one you've been looking for. Your dream car. 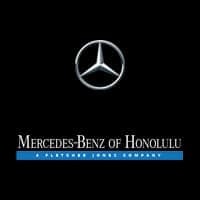 This 2020 Mercedes-Benz GLE GLE 350 is offered to you for sale by Mercedes-Benz Of Honolulu. This Mercedes-Benz includes: PARKING ASSIST PACKAGE Back-Up Camera PREMIUM PACKAGE HD Radio Satellite Radio Premium Sound System *Note - For third party subscriptions or services, please contact the dealer for more information. * Want more room? Want more style? This Mercedes-Benz GLE is the vehicle for you. Pull up in the vehicle and the valet will want to parked on the front row. This Mercedes-Benz GLE is the vehicle others dream to own. Don't miss your chance to make it your new ride. This AWD-equipped vehicle handles well in any weather condition or terrain. You'll benefit from superb handling, improved steering and excellent acceleration. This 2020 Mercedes-Benz GLE GLE 350 is proudly offered by Mercedes-Benz Of Maui This SUV gives you versatility, style and comfort all in one vehicle. Today's luxury vehicle is not just about opulence. It's about a perfect balance of performance, comfort and attention to detail. This 2020 Mercedes-Benz GLE is the perfect example of the modern luxury. All-wheel drive means peace of mind all the time. This Lunar Blue Metallic AWD Mercedes-Benz enjoys a host offeatures, including exceptional acceleration and superior stability so you can drive with confidence. There is no reason why you shouldn't buy this Mercedes-Benz GLE GLE 350. It is incomparable for the price and quality. This 2020 Mercedes-Benz GLE GLE 450 is offered to you for sale by Mercedes-Benz Of Maui. This SUV gives you versatility, style and comfort all in one vehicle. Today's luxury vehicle is not just about opulence. It's about a perfect balance of performance, comfort and attention to detail. This 2020 Mercedes-Benz GLE is the perfect example of the modern luxury. This Mercedes-Benz GLE features AWD. That means power and control delivered to all four wheels for maximum grip and improved handling. This is about the time when you're saying it is too good to be true, and let us be the one's to tell you, it is absolutely true. You can find this 2020 Mercedes-Benz GLE GLE 450 and many others like it at Mercedes-Benz Of Honolulu. This Mercedes-Benz includes: PREMIUM PACKAGE HD Radio Satellite Radio Premium Sound System *Note - For third party subscriptions or services, please contact the dealer for more information. * Want more room? Want more style? This Mercedes-Benz GLE is the vehicle for you. You appreciate the finer things in life, the vehicle you drive should not be the exception. Style, performance, sophistication is in a class of its own with this stunning Mercedes-Benz GLE. When the Mercedes-Benz GLE GLE 450 was created, it was automatically enhanced by having the performance ability of all wheel drive. Not only will you notice improved steering and superior acceleration, but you can also rest easy knowing that your vehicle comes standard with increased stability and safety. This outstanding example of a 2020 Mercedes-Benz GLE GLE 350 is offered by Mercedes-Benz Of Honolulu. This Mercedes-Benz includes: 3RD ROW SEAT PACKAGE 3rd Row Seat Auxiliary Audio Input MP3 Player PARKING ASSIST PACKAGE Back-Up Camera DRIVER ASSISTANCE PACKAGE PLUS Lane Departure Warning Lane Keeping Assist Brake Assist Adaptive Cruise Control Blind Spot Monitor PREMIUM PACKAGE HD Radio Satellite Radio Premium Sound System *Note - For third party subscriptions or services, please contact the dealer for more information. * Want more room? Want more style? This Mercedes-Benz GLE is the vehicle for you. Today's luxury vehicle is not just about opulence. It's about a perfect balance of performance, comfort and attention to detail. This 2020 Mercedes-Benz GLE is the perfect example of the modern luxury. This AWD-equipped vehicle will handle beautifully on any terrain and in any weather condition your may find yourself in. The benefits of driving an all wheel drive vehicle, such as this Mercedes-Benz GLE GLE 350, include superior acceleration, improved steering, and increased traction and stability. Contact Mercedes-Benz Of Maui today for information on dozens of vehicles like this 2019 Mercedes-Benz GLE AMG GLE 43. Want more room? Want more style? This Mercedes-Benz GLE is the vehicle for you. Pull up in the vehicle and the valet will want to parked on the front row. This Mercedes-Benz GLE is the vehicle others dream to own. Don't miss your chance to make it your new ride. Comfort. Performance. Safety. Enjoy all three with this well-appointed AWD 2019 Mercedes-Benz. The look is unmistakably Mercedes-Benz, the smooth contours and cutting-edge technology of this Mercedes-Benz GLE AMG GLE 43 will definitely turn heads. This outstanding example of a 2019 Mercedes-Benz GLE AMG GLE 43 is offered by Mercedes-Benz Of Maui. Want more room? Want more style? This Mercedes-Benz GLE is the vehicle for you. Pull up in the vehicle and the valet will want to parked on the front row. This Mercedes-Benz GLE is the vehicle others dream to own. Don't miss your chance to make it your new ride. Enjoy the grip and control of AWD performance in this nicely equipped Mercedes-Benz GLE. Just what you've been looking for. With quality in mind, this vehicle is the perfect addition to take home. This outstanding example of a 2019 Mercedes-Benz GLE AMG GLE 63 S is offered by Mercedes-Benz Of Honolulu. This Mercedes-Benz includes: PREMIUM 3 PACKAGE Lane Departure Warning Lane Keeping Assist Brake Assist Adaptive Cruise Control Blind Spot Monitor Cross-Traffic Alert AMG CARBON FIBER/BLACK PIANO LACQUER TRIM *Note - For third party subscriptions or services, please contact the dealer for more information. * Want more room? Want more style? This Mercedes-Benz GLE is the vehicle for you. You appreciate the finer things in life, the vehicle you drive should not be the exception. Style, performance, sophistication is in a class of its own with this stunning Mercedes-Benz GLE. This Mercedes-Benz GLE AMG GLE 63 S comes equipped with all wheel drive, which means no limitations as to how or where you can drive. Different terrains and varying weather conditions will have little effect as to how this vehicle performs. According to KBB, the GLE “adeptly takes on rivals like the BMW X5.” Compared the BMW X5, the GLE is more powerful, cost-effective, and efficient. The same goes for the GLE vs. BMW X6. If you’re ready to see the GLE in person, schedule a test drive at Mercedes-Benz of Honolulu near Ewa Beach and Waipahu! While you’re here, take a moment to browse our current offers and finance specials.